DUBAI - Marking the 22nd UAE National Environment Day, students at Foremarke Dubai are carrying out a sustainability initiative to reduce plastic pollution according to the foremarke school. 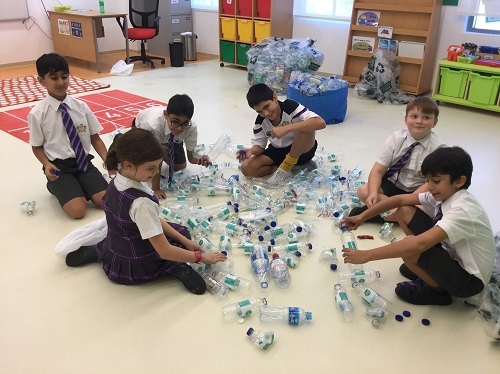 Foremarke School has partnered with Simply Bottles, an organisation that works with schools and businesses in the UAE to educate, engage and equip communities to reduce plastic pollution and increase the recycling rates of plastic water bottles. According to the United Nations Environment Program (UN Environment), it is estimated that only 9% of all plastic waste ever produced gets recycled, about 12% is incinerated, while the rest — 79% gets accumulated in landfills, dumps or the natural environment.